Caption: "Of course this step is OSHA Approved, as are my suspenders and knickers!" Caption: "You want which book of Van Gogh on the TOP Shelf?" Filename: Your no help ! Caption: "Why do you insist on throwing the books on the floor" "You can see I have a short skirt and do have to pick them up"
Caption: I guess I picked the wrong day to wear a short skirt - or did I? Caption: Why am I always chosen to refill the top shelves? Caption: Most popular library in the UK! Caption: Our Miss Jones wants to know if it's the art of Van Gogh or the hiking of the skirt that makes the book get checked out more? Caption: They might not decide on one artist in particular, but they sure know what they like when they see it. Caption: It always seems that they want a book on the Top when I am dressed like this. Caption: "And this is our Novella Section, where everything is short in length but wonderfully exciting when the end is revealed....."
Caption: Things are looking up at the library. Caption: The best books are always on the top shelf, but the best place to look is always at the bottom. Caption: "Did you say "Catcher in the Rye" or "something to catch your eye"? 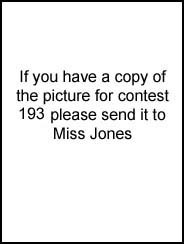 Caption: Miss Jones always rises to the challange. Caption: Why is everyone whistling, this is not exceptable behavior in the Library.